Looking for exceptional urban lifestyle living in one of Ottawa’s trendiest neighbourhoods? Welcome to The Eddy, winner of a 2016 Housing Design Award for the best-designed high-rise building in Ottawa, and one of the few LEED Platinum condos in Canada. 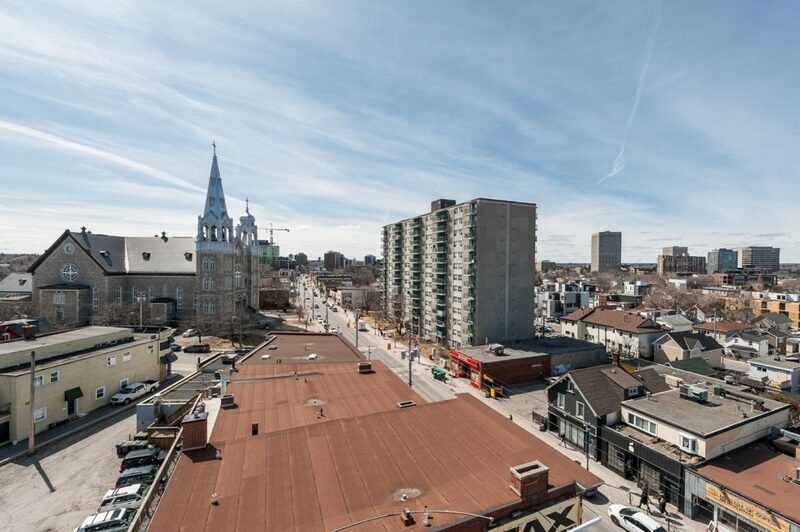 Located in the heart of Hintonburg where you are within a 5-minute walk to the scenic Sir John A. MacDonald Riverfront Park, a wide assortment of restaurants, cafes, and trendy shops, as well as the new light rail Confederation Line (LRT). A sophisticated space to call home, this Exclusive Listing at The Eddy offers 2 Bed + Den and 2 Baths. This is one of the largest floor plans in the building at 1,079 sq ft along with a large south oriented balcony at 134 sq ft facing a quiet residential neighbourhood. A “soft loft” design with nine-foot ceilings, an industrial feel, and exposed concrete ceilings and ductwork. Pride in ownership is evident with over $20,000 in custom upgrades, including a generous addition to kitchen cabinetry, built-in closet storage, high-end blind system and more. 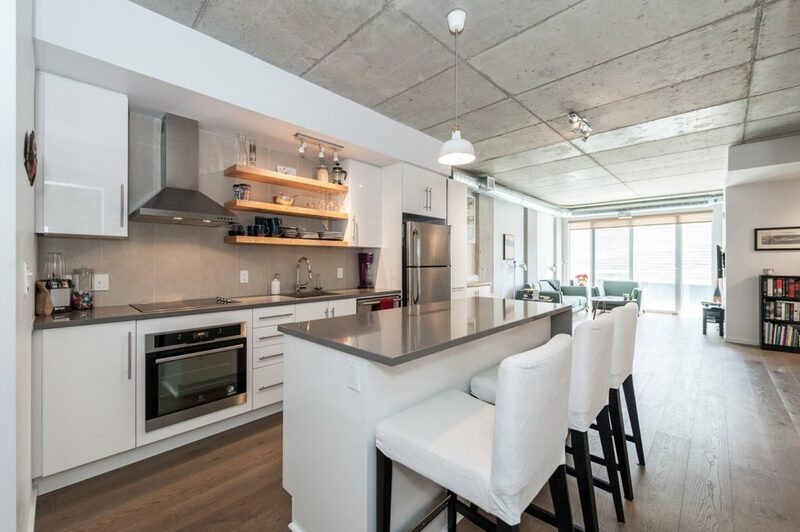 The details in this condo have been carefully selected to compliment the builder finishes and create a clean style, with uncluttered lines and natural textures. A sweeping island is a focal point for entertaining in this contemporary white kitchen, along with stainless steel appliances and quartz countertops. 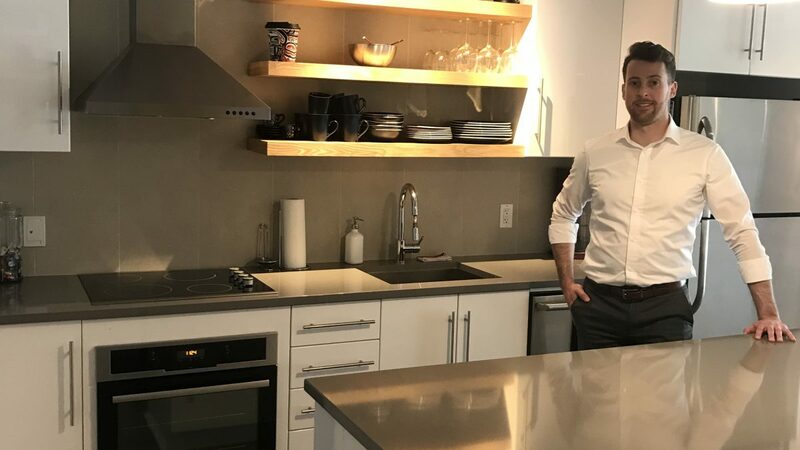 The building adheres to the highest possible eco-friendly standards, with geothermal heating/cooling, rainwater recapture, low VOC finishes and the first puzzle parking garage in the city. A spectacular rooftop terrace with outdoor lounge, fireplace, garden plots, & barbecues to be enjoyed with friends while watching the sunset over the Gatineau Hills and downtown Ottawa. This is the lifestyle you’ve been waiting for! If you are interested in visiting this spectacular condo or would like more information at this Exclusive Listing at The Eddy, please don’t hesitate to get in touch. Link to our virtual tour.